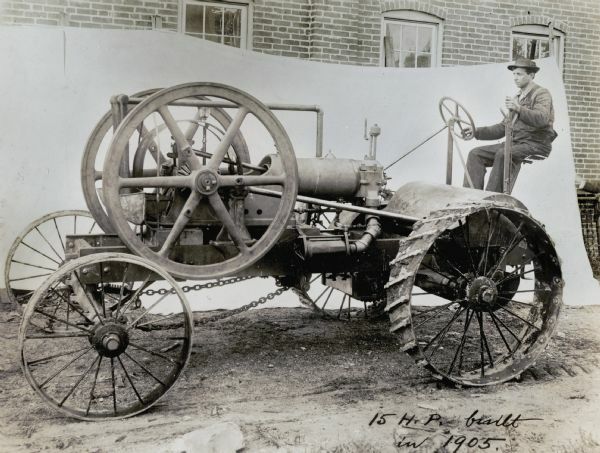 A man sits behind the wheel of what appears to be an experimental tractor. The location is staged for a photo shoot, with a white cloth hung in front of a brick building in the background. The handwritten text on the photograph reads, "15 H.P. Built in 1905."